My father, Chester Warren Fisher, would have turned 83 today (May 5th) had the Lord not called him home 13 years ago after a battle with cancer. On dad's birthday 13 years ago, I drove to the hospital in Kingston with a Tribute Book that I had compiled. About 60 people had contributed to this book. Missionaries, Christian leaders, employees, politicians, civic leaders, friends and family took time out to let dad know how his life had impacted theirs. Dad was in tears as he turned the pages and read the entries. Certain words appeared numerous times in these tributes...words like integrity, generosity, missions, Elim Lodge, family, etc. Dad was truly a man of God! 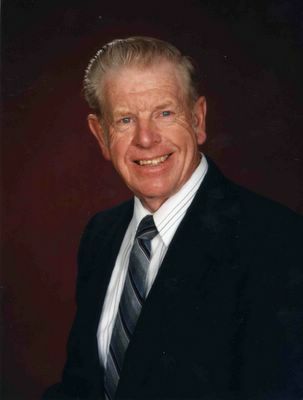 He served on the boards of many Christian and secular organizations. He had a heart for missions and my parents entertained preachers and missionaries in our home often. Dad's impact at Fisher Gauge Ltd. (now FisherCast Global Corporation) was far-reaching. He managed by "walking around". The employees knew he cared. His contributions at Elim Lodge will never be forgotten. His "cruises for missions" on the boats he captained raised funds for missionaries and Christian workers around the world. Dad is certainly missed. I know I miss him more now than ever before. Over the years I've made a habit of buying dad a birthday card on May 5th and picking out a Father's Day card when that day rolls around. I still have a father, he's just in a better place, in the presence of the King! I'm so grateful for a godly dad who blazed a trail for me. It can certainly be said about dad, "He was a good man!" I miss you dad...but I'll see you soon. Thanks for modeling the Christian life before me. "He being dead, yet speaketh." Check out my article earlier this week entitled "They Blazed a Trail" for a portrait of mom and dad. What a beautiful tribute to your father! It is very refreshing to hear stories of men who had a great relationship with their father. I confess I'm envious of those friends who have such close relationships with their fathers. I always wanted to be "daddy's little princess." It just wasn't there, although I've come to be sure that dad loved me in the best way he knew how. How grateful I am that God has been gracious and merciful to me by rescuing me and showing me me who HE is! My dad has been gone for 3 1/2 years and would have been 75 on May 10.